١ U.S. actress Blanca Blanco arrives for the screening of the film "Dogman" at the 71st edition of the Cannes Film Festival in Cannes, southern France, May 16, 2018. 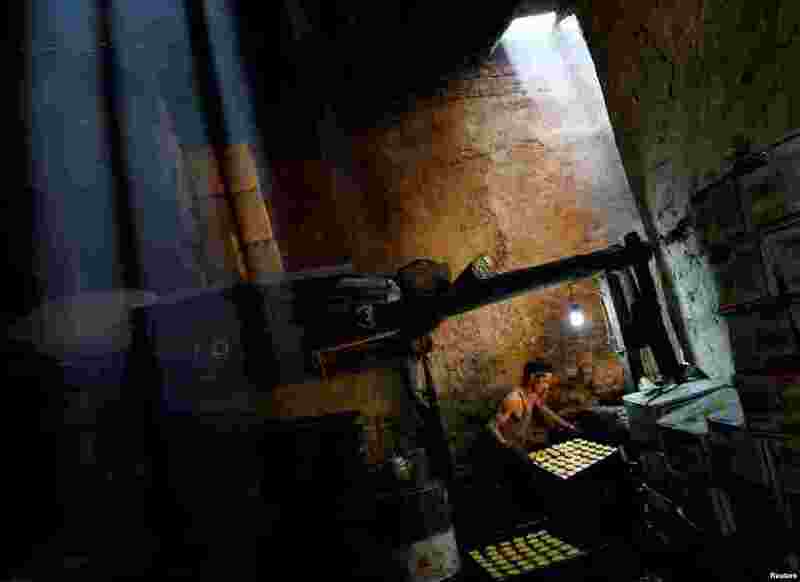 ٢ A man prepares cookies at a small traditional factory on the first day of the holy month of Ramadan in Kabul, Afghanistan. 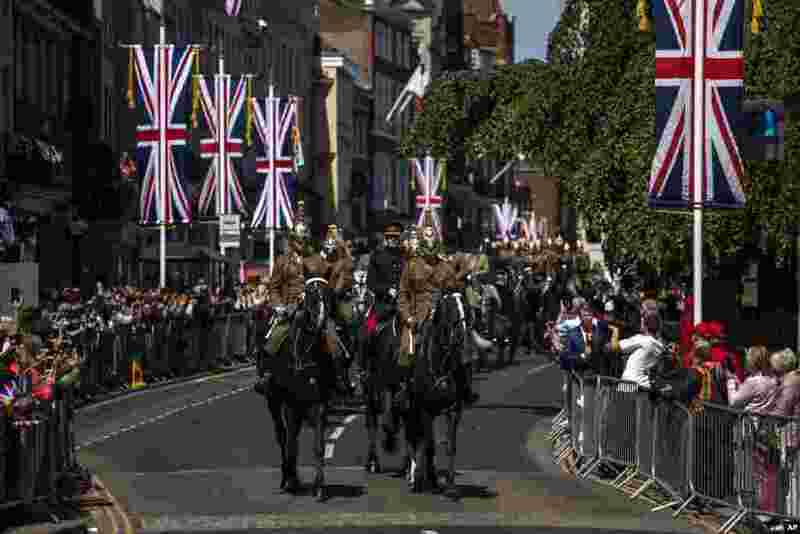 ٣ Members of the Armed Forces ride horses during a parade rehearsal, ahead of Prince Harry and Meghan Markle's wedding in Windsor, England. 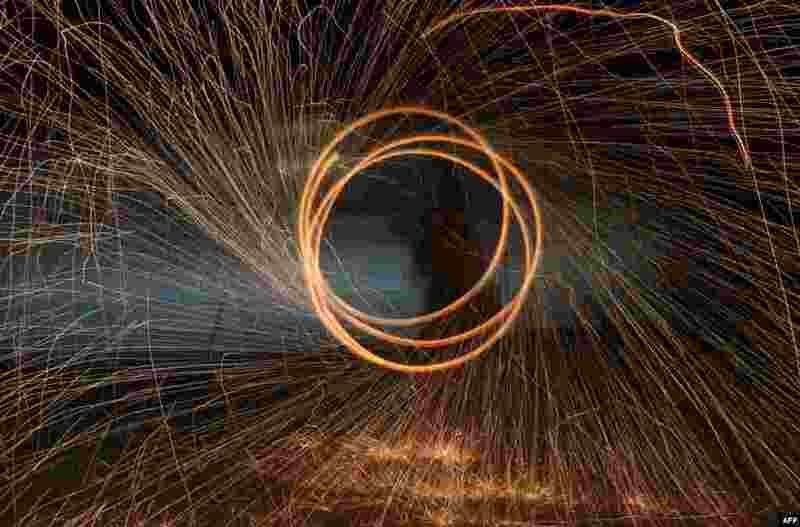 ٤ A Palestinian youth waves a sparkler at the site of a tent protest on the Israel-Gaza border east of Khan Yunis in the southern Gaza Strip, May 16, 2018, as the faithful prepare to start the Muslim holy fasting month of Ramadan.